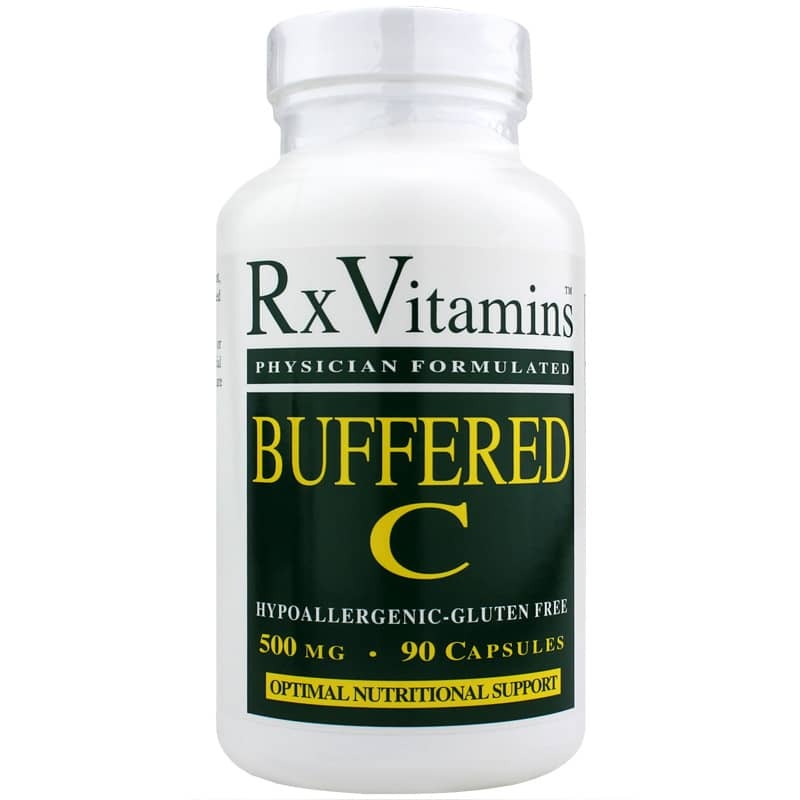 Buffered C from Rx Vitamins offers 1000 mg of vitamin C per serving to support your health. This vitamin C is buffered, so it is suitable for those with sensitive stomachs. Vitamin C is an important vitamin in the body, and contributes to a number of processes. When taken as a supplement, vitamin C offers support for immune system health, promotes healthy looking skin, and may offer support for skeletal and dental health. 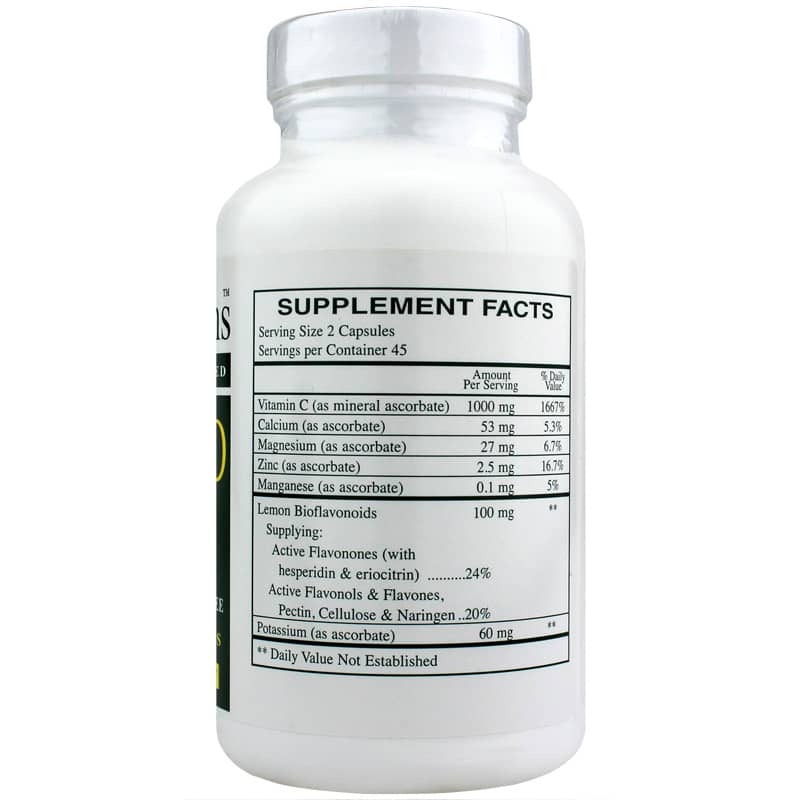 This supplement also contains mineral ascorbates and lemon bioflavonoids, which have antioxidant properties. Antioxidants work to prevent cells from oxidizing and protect from damaging free radicals. This vitamin C supplement also contains trace amounts of calcium, magnesium, zinc, manganese, and more for added health. If you’re looking for a gentle vitamin C supplement that offers support for the immune system and has antioxidant properties, try Buffered C from Rx Vitamins. 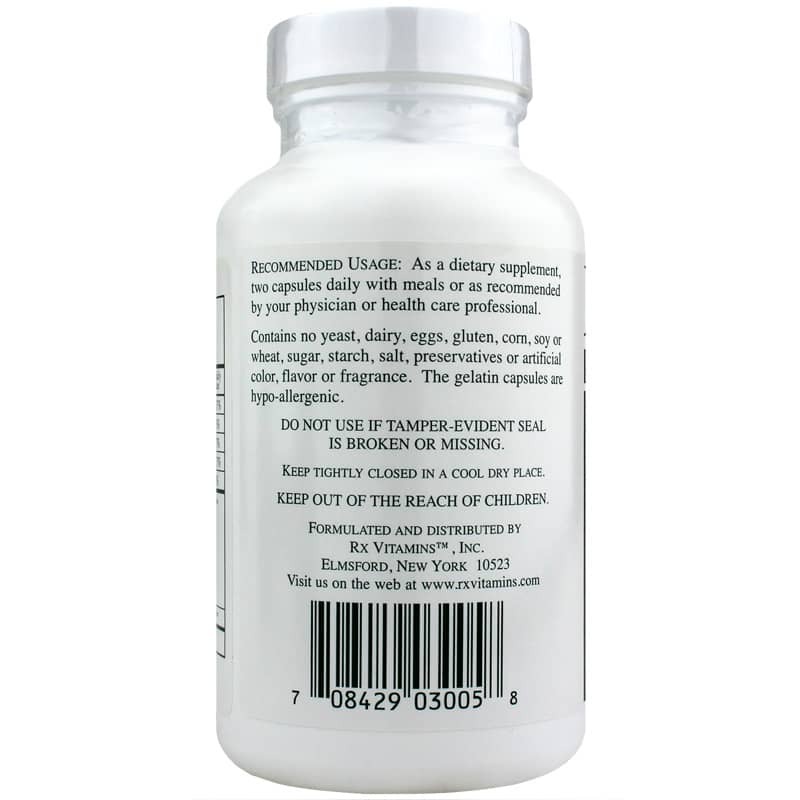 Contains NO: yeast, dairy, eggs, gluten, corn, soy, wheat, sugar, starch, salt, preservatives, artificial color, flavor or fragrance. Adults: As a dietary supplement, take 2 capsules daily with meals or as directed by your physician or healthcare professional.